Is Ram Also Considering A Mid-Size Pickup Truck Revival? Considering the competition, it would make sense. It wasn’t even a decade ago when brands like Ram and Ford wrote off the mid-size pickup truck segment. Both figured the future of trucks was in full-size. Toyota and Nissan didn’t agree and both the Tacoma and Frontier lived on. Then GM took a chance a couple of years ago and launched the current Chevrolet Colorado and GMC Canyon. Both became smash hits. Ford finally responded this past week at Detroit with its all-new Ranger. But what about Ram? Any chance for a (formerly Dodge) Dakota revival? It’d make sense, right? We chatted with Robert Wichman, chief engineer for the Ram Truck brand at Detroit and asked him that very question. “We always look where we’re at relative to our customers and their needs. Nothing is a closed book. We never say anything is closed,” Wichman said. “But we are watching the market and we’ll see where we’re at in due time.” Now, that was not a flat-out denial, and the one thing automakers never, ever comment on is future product. But in the case of a mid-size pickup truck, we can’t see any reason why Ram would voluntarily opt to be left out. The new 1500 is a big sucker, as is any full-size pickup today. That just doesn’t work for everybody for a number of reasons. Perhaps their garage is not large enough. They don’t want to pay more at the pump. Or, simply, people don’t need that much truck. Can’t blame them. The re-emergence of the mid-size truck segment will not only bring in new buyers, but also current owners who’ve wanted to downsize for some time and can also stick with their preferred domestic brand. There could also be Dakota owners out there who need to replace their aging trucks. Are they going to head into a Chevy or Ford dealership instead of Ram? 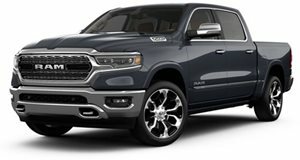 Why on earth would Ram not want to be part of this new generation of mid-size pickups? Based on Wichman’s carefully chosen words, can we assume a Dakota revival is in the works? We wouldn’t at all be surprised if that’s the case. But Ram will need to move relatively fast in order to make up for some lost time. And now that the new 1500 launch is taking place, the door is wide open for a mid-size offering. Keep watching this space for, hopefully, some relative spy shots.